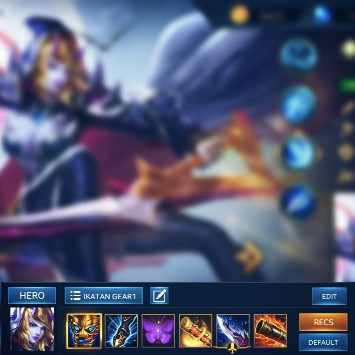 Home » Heroes Evolved » Heroes Evolved Minerva Best Build – High Damage. Heroes Evolved : Minerva Item Build Guide. Heroes Evolved Minerva Best Build — Minerva is a hero who has a deadly attack. This makes Minerva become one of the strongest heroes in game Heroes Evolved. With the best gear arrangement of his ability will be very dangerous for each opponent. We will help you how to Minerva best build for you to win. Frostbite (Passive) : Adds a Frostbite effect to Minerva’s attacks, slowing enemy’s movement speed and attack speed for 1.5 seconds. [Movement speed slow : 12%/16%/20%/24% | Attack speed slow :15/20/25/30]. Hunter Speed (Buff) : Grants bonus attack speed and movement speed for 4 seconds. [Bonus movement speed : 20% | Bonus attack speed : 30/40/50/60 | Cooldown : 12/11/10/9 seconds | Mana cost : 70]. Fan of Arrows (Magic) : Shoot 6 arrows in a cone to deal magical damage, also applies Frostbite effect. [Damage : 170/215/260/305 | Cooldown : 9/8/7/6 seconds | Mana Cost : 70/85/100/115 | Radius : 1200]. Moon Shot (ULT) : Launches a crystal arrow of ice with vision that stuns the first enemy hero hit, dealing magical damage. Enemies within 500 radius of the target take half damage. For every 750 range the arrow travels, the stun duration is increased by 0,5 seconds to a maximum of 3,5 seconds. [Damage : 375/500/625 | Mana Cost : 150 | Cooldown : 60/54/48 seconds | Cast Range : Entire map]. Minerva Best Build – High Damage. Reafer Mask : +45 Damage| +25 Attack Speed| +250 Health| +10 All Attributes. Unique Passive : +20% Physical Life Steal. 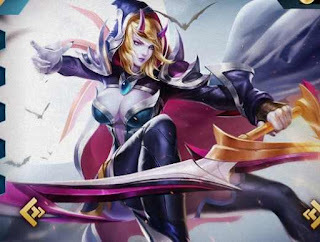 Unique Passive – Savagery II : After attacks an enemy hero, increases 90 Movement Speed and reduces target’s 30% Movement Speed for 2 seconds for melee heroes, or increases 40 and reduces 12% for ranged heroes. Effect does not stack. Speedster Boots : +90 Movement Speed. Unique Passive : Grants an aura that increases 8% bonus Movement Speed to all allies in a 1000 radius. Butterfly Wings : +30 Agility| +30 Damage| +40 Attack Speed. Unique Passive : +35% Dodge chance (Dodge chance cap is 35%). Attribute : +10% Movement Speed. Metronome Staff : +81 Damage| +10 Attack Speed. Unique Passive : 75% of your attacks will not miss. Each attack deals 4% of target’s Max Health magical damage. Mana Slicer : +20 Agility| +36 Attack| +35 Attack Speed. Unique Passive : Each basic attack burns 60 Mana on target and deals magical damage. Attribute : +10% Movement Speed. Active ability : Immediately deals 250 + Agility x2 magical damage to the target and slow 30% movement speed for 3 seconds. Ragnorak Cannon : +100 Damage. Unique Passive : Grants each attack 20% chance to deals critical damage. Increases crtitical damage to 250%. Minor : Increases 15% damage when attacking buildings. Major : Decreases 15% damage taken from buildings. Minor : Reduces 1 second when teleporting. Related Post to Heroes Evolved Minerva Best Build – High Damage.